Rose Metal Press is an independent, not-for-profit publisher of hybrid genres specializing in the publication of flash fiction and nonfiction; prose poetry; novels-in-verse or book-length linked poems; novellas-in-flash; lyric essays; text and image works; and other literary works that move beyond the traditional categories of poetry, fiction, and essay to find new forms of expression. Many writers are doing fruitful and compelling work in hybrid genres, but they may have limited opportunities to publish that work because few for-profit publishers accept hybrid genre submissions due to concerns with classification and marketability. 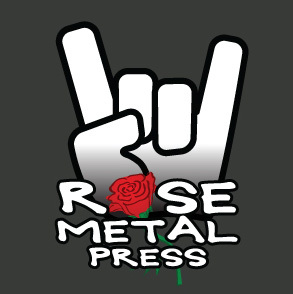 The mission of Rose Metal Press is to support innovative hybrid writing and provide a publishing home for transgressive, unusual, and hard-to-categorize literary projects, thereby helping to expand the field of publishing, as well as the range of opportunities available to authors and readers. Founded in January 2006 by Abigail Beckel and Kathleen Rooney, Rose Metal Press publishes several beautifully produced titles per year. We also sponsor 20-30 readings and events annually to promote our books, authors, hybrid genres, and the independent literary community. Over the last 12 years, we have been heartened to see interest in hybrid genres continuing to grow, with many more innovative writers finding a home for their work with us or with other small and mid-size literary presses. Rose Metal Press books are now taught at hundreds of colleges and universities. We are also proud that a number of our books have been winners and finalists for the Independent Publisher Book Awards (IPPYs); Foreword Review INDIEFAB and INDIES Book of the Year Awards; Eric Hoffer Book Awards; CLMP Firecracker Awards; and Bookbuilders of Boston’s New England Book Show for Design. Rose Metal Press is a member of CLMP and Bookbuilders of Boston. We are grateful to the Massachusetts Cultural Council and the National Endowment for the Arts for their past grant support. Rose Metal Press is a non-profit 501(c)(3) organization. Our primary source of funding is through grants and personal contributions. We are endlessly grateful to all of our past and present individual donors and subscribers—their generosity has funded 12 years of award-winning RMP books and allows us to continue publishing beautiful and innovative new books. Please consider making a tax-deductible contribution to support our literary mission. Subscribe or donate here. Abigail Beckel has worked professionally in publishing for more than 16 years at publishing houses such as Pearson Education, Beacon Press, and Blackwell-Wiley Publishing, and as a magazine editor for United Business Media. She is a published poet and prose writer and lives near Washington, DC. Kathleen Rooney is the author of nine books of poetry, fiction, and nonfiction, including most recently, the novel Lillian Boxfish Takes a Walk (St Martin’s Press, 2017) and The Listening Room: A Novel of Georgette and Loulou Magritte (forthcoming from Spork Press in 2018). With Eric Plattner, she is the co-editor of Rene Magritte: Selected Writings (University of Minnesota Press, 2016). She is a founding member of Chicago’s Poems While You Wait, and she teaches English and Creative Writing at DePaul University.